Further to the yesterday update, we are aware of two IT issues that are currently affecting Moodle. Please be assured that work is being carefully co-ordinated across multiple teams in DL Support and IT services to try and resolve these as quickly as possible. Moodle appears to go ‘down’ or ‘offline’. This is an intermittent problem that is also affecting other web services. It is not related to the change in Moodle hosting or the SITS integration project. IT Services have been able to replicate the problem, which is the first step in diagnosing the underlying cause. Courses not showing correctly in SITS. Yesterday, there was a problem with the server that holds and processes the data from SITS. We are in the process of reinstating the data and carrying out testing on the staging server before updating the live environment. We will update you as soon as we have any further information about either of these issues. Apologies for any inconvenience caused. This entry was posted in General on 10th July 2018 by Marta Piatkowska. We are receiving calls of a number of problems that are impacting on Moodle. Earlier today there was a problem with the data and some people reported not being able to see all their course sites in Moodle. This issue has now been resolved. We are also being told of some cases where Moodle suddenly appears to go offline. We are constantly monitoring the server availability and have not detected any unexpected downtime. There is also some odd behaviour being reported from other areas such as the UAL website so these issues may be related. IT Systems are looking into the issues to try and diagnose the underlying cause. We will keep you informed with any new updates on the situation please take our sincere apologies for any inconvenience caused. This entry was posted in General on 9th July 2018 by Marta Piatkowska. A final update on this project. On Tuesday 3rd July we carried out the final synchronization of data between our and ULCC’s Moodle and pointed moodle.arts.ac.uk to UAL servers, making Moodle live on our own systems. The other good news is that the Web Services team have successfully recruited to the post of VLE Application Support Analyst and Fardin Amiri is due to start with the Web Services team, 7 August. Fardin will be a great boost to the team, providing vital resource to support the in-house provision of our Moodle platform. That’s not the end for Moodle: we still have the SITS integration and the 2018/19 rollover scheduled next week. We are, however, in a strong, and exciting position in terms of what we can now consider to do to continue improving the experience and service for all staff and students that rely so much on Moodle for teaching and learning. Un-enrolling users – In Progress – this is not a bug or an issue with Moodle but related to the SITS project. This will be resolved when we switch on the data feeds from SITS next week. New student applicants not showing as enrolled in Moodle: – In Progress – this is not a bug or an issue with Moodle but related to the SITS project. The Registry team are still working on enrolling new applicants in SITS and this work is expected to be complete by the end of July ready for pre-sessional activities in Moodle starting in August. As part of moving Moodle in house we have also increased Moodle’s security and implemented https. Content that has been embedded in Moodle sites using iframes may not display if the content comes from a third party webiste which doesn’t allow or support https. It’s important to note that this is not Moodle or the UAL environment which is preventing this from working – it’s actually the browser. The reason for this behaviour is that it’s seen as a security risk to mix http and https content in one page. As many browsers are now moving to support https many websites will be converting their sites accordingly, so this problem will gradually be less and less of a problem. If embedded content isn’t working because https isn’t supported, then the only option is to use a regular link to point to the content, rather then embed it into a Moodle site. Moodle is now fully back in service and colleagues are able to edit their course sites. 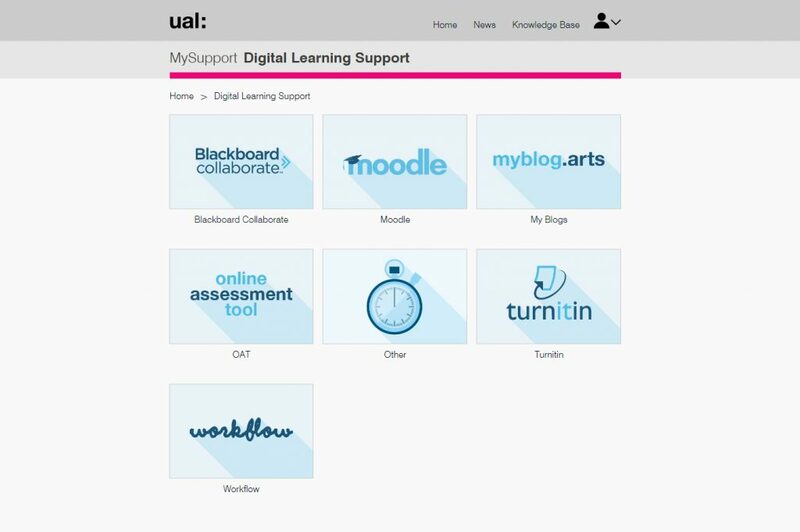 If there are any issues or problems in using Moodle that you feel have arisen from this recent work, please do report these to dlsupport@arts.ac.uk for the team to investigate. This entry was posted in Moodle and tagged hosting on 6th July 2018 by Ruth Powell. The challenges of creating course sites in Moodle that presents course information, resources and communications in a way that students can easily navigate through and find what they need are well known. Solutions aren’t easy – not least due to the diversity and complexity of teaching approaches across UAL that need to be represented through Moodle course sites. Understandably, it is natural to consider Moodle course sites as any other web-page and we expect to be able to create a good ‘web-site’ experience for our students. Good web-site design, however, does require a specific knowledge and skill set and, of course – time! Some courses are fortunate in that they have staff with this skill set who are able to develop quite complex site designs and organisational structures for their materials. Relying on the skills of a few members of staff, however, is seldom sustainable in the longer term. In June, the digital Learning Services team convened a small group of people interested in looking at how we can address this issue of course site design so that all staff can develop and maintain their Moodle site without specialist web-design and coding skills. The discussions were underpinned by the following principles. Scaleability – ideas had to be sympathetic to demands of large courses and student cohorts. The group consisted of people from a cross section of support, teaching, training and leadership roles. Through the discussion we looked at examples of Moodle course sites, shared experiences of designing and maintaining Moodle sites, discussed the skills and knowledge required, thought about our training provision and explored ideas for new technical solutions. The more technically minded members agreed to explore the potential of ‘Markdown’ – an html / css editor that could enable greater flexibility within defined limits, but doesn’t require extensive coding knowledge. Another area to look at would be researching any available plugins that have been developed for Moodle. We are going to experiment with using Slack (https://moodledesignworkgroup.slack.com) to help continue our discussions. Our next meeting is scheduled for Wednesday September 19th, 2.00 pm. If you are interested, you would be warmly welcome to join in the discussions. Please email Andreea Stan (a.stan@arts.ac.uk) who will include you in any communications. This entry was posted in General on 3rd July 2018 by Andreea-Diana Stan. The 18/19 course sites are expected to be available in Moodle from July 12th ready for you to prepare for the next academic year. Below you can find useful information that will help you copy content across from your existing course area to your 18/19 site. Please do take note of the activities (listed at the end of this post) which must not be copied between course sites. New ‘EMPTY’ 18/19 courses will be automatically created in Moodle. Students will be automatically enrolled onto their 18/19 Programme, Course, Year Course and units based on the information held in SITS. We will enrol staff onto the 18/19 courses in Moodle based on current staff enrolments on 17/18 courses. 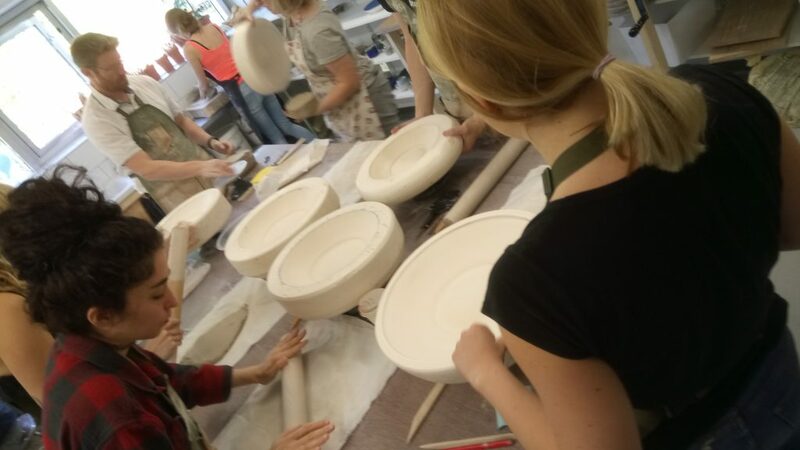 If you would like to be unenrolled please email dlsupport@arts.ac.uk with a list of courses. 15/16 courses will be switched off. Import 17/18 course content into 18/19 course. For a more in depth information please visit: Preparing Courses for the New Academic Year site on Moodle. If you do not have access to this site and you are responsible for adding content to your course site please email dlsupport@arts.ac.uk . Please note that there is a scheduled downtime in July for Moodle, necessary to complete the transition to the UAL hosting. Moodle will be available, but users should note that if any critical issues arise during UAT and the decision is made to roll back and not change our hosting arrangements all changes made in Moodle during these dates will be lost and not recoverable. More information on our previous blog post Moving Moodle Hosting to UAL. 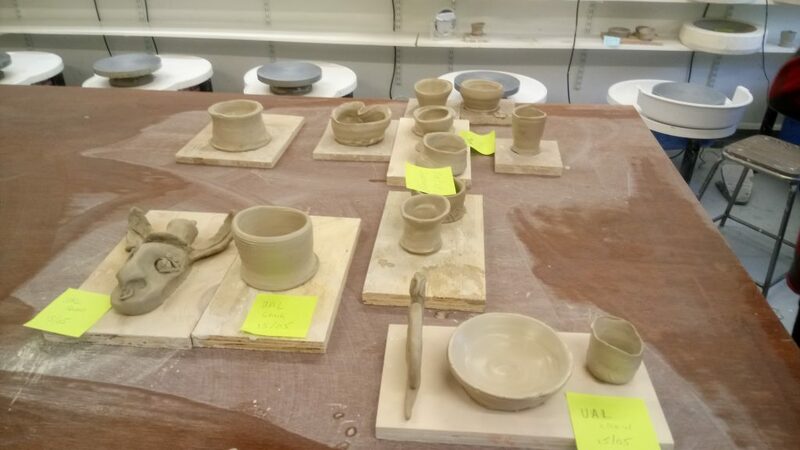 This entry was posted in Moodle and tagged course_rollover on 3rd July 2018 by Andreea-Diana Stan. Tuesday 3rd July: Moodle out of service all day. If you try to log into Moodle you will see an ‘Under Maintenance’ screen. Wednesday 4th July: Moodle out of service until approximately 3.00 pm. When we turn the service back on access will be almost instant within the UAL network, but can take about 24 hours to be globally available. Friday 6th July: final decision to either continue with UAL hosting or roll back to former hosting arrangement. IMPORTANT: Wednesday 4th July – Friday 6th July: Whilst we are confident the switching to the new hosting environment will be seamless, we strongly advise that users refrain from making any major changes or edits to their course content during these few days. During this period the DLSupport team will be checking and monitoring the new environment to ensure performance and reliability is as expected. Should anything critical arise that means we need to roll back to our former hosting arrangements and any changes made to Moodle course sites will be lost. This entry was posted in General on 26th June 2018 by Andreea-Diana Stan. Following consultation with colleges, work to upgrade Workflow is scheduled for 11th and12th September 2018. During the upgrade Workflow will be taken down and will not be available to colleagues or students. We apologize for the inconvenience, but the upgrade is essential to keep the platform in line with the most stable release of the software and to maintain platform performance and security. The Digital Learning Support team are currently upgrading the dev environment so that we can analyze any new features or changes to functionality. Digital Learning support will issue guidance about any key differences prior to the end of the Summer term. *During this time Workflow will be taken down and will not be available to colleagues or students. **Although Workflow will be available to use on these days, it is still ‘at risk’. We advise that colleagues and students do not make any critical edits to Workflow sites during this ‘at risk’ period as any changes are likely to be lost should problems arise requiring us to roll back to the current version of the software. We will put up a message in Workflow during the ‘at risk’ period to warn users of this. This entry was posted in Workflow and tagged upgrades on 21st May 2018 by Andreea-Diana Stan. As you might have already read in one of our previous posts, Moodle hosting is planned to move in-house this July. There will be a necessary downtime in order for the full transition to be completed, but please note that there is no Moodle upgrade scheduled for this summer. Once the hosting transition is complete Moodle will continue to look and work the same way as before. For more details regarding the move of Moodle hosting and the downtime dates, please read our previous post – Moving Moodle Hosting to UAL. This entry was posted in Moodle and tagged upgrades on 21st May 2018 by Andreea-Diana Stan. You can now raise a help request directly with the DL Team through the MySupport Self Service. Why use The Digital Learning Support Self Service? If you are working within the UAL network it is quick and easy to use! Using Self Service will enable the team to process the requests more efficiently than by email. It automatically generates and sends you a support ticket that confirms your request for support. Through Self Service you can track the the progress of your request, or update your request with further information. This helps keep all communication about your request in one place, rather than dispersed across various emails. Please do bookmark the link and consider using Self Service next time you need to contact DL Support. We look forward to supporting you! 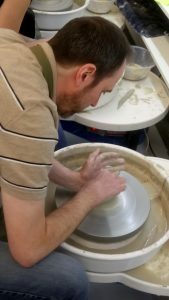 This entry was posted in General, Moodle, MyBlog, OAT, Workflow and tagged Self_service, Support on 21st May 2018 by Ruth Powell. The DLS team got together last Tuesday for the annual team day. 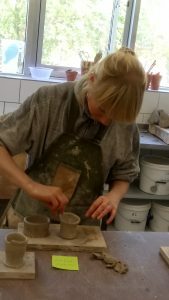 This time we thought it would be good to spend the day away from everything digital and to try something new to all, so we decided to have a go at pottery and started the day early in Peckham, at The Kiln Rooms – a wonderful open access ceramics studio based at Peckham Levels. 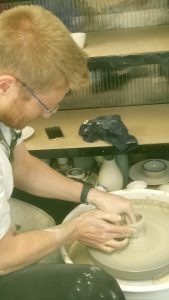 The staff at The Kiln Rooms were incredible – great artists, teachers and people too – and they helped us quickly get from a handful of clay to not so perfect but still functional pots. Catering was provided by Wildflower Cafe – super yummy and a must go, especially if you are vegetarian/vegan! This entry was posted in General on 21st May 2018 by Andreea-Diana Stan. Here you will find information to keep you up to date with the work we are doing to develop and maintain the digital learning platforms. Use the Categories and Tags below to navigate the information and check out the Platform Enhancements page to see the more minor improvements made. We welcome your thoughts and feedback – on areas we do well, as well as the things you want us to do better. You can leave comments on each blog post, or use the form on the Feedback page.